While reading it, the idea behind appeared as a two-sided coin flipping in the air, describing the meaning as when one is here to be for everybody, then she or he is losing her/himself – on one side of the coin: becoming nothing. And the other: becoming everything. Layna picked up the thought and made a comment: “We have been told so many times that we can not make everybody happy and we are starting to believe it, even when we can choose to think differently”. She remembered a poem from her childhood and I looked it up from the Internet to read it out loud for both of us to hear. We humans have a habit of continuously wanting more, so the dream keeps on going until we ourselves become the Giving Tree. The only way of being truly happy is to make everybody happy. So we decided there and then, that it is possible. 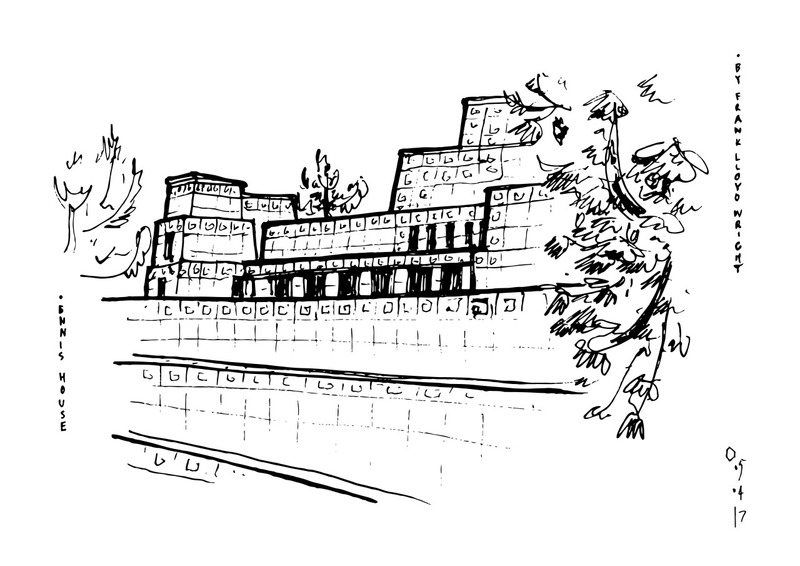 The story is illustrated with the happy simple moment felt in Los Angeles, admiring the work of Frank Lloyd Wright. You’ve made your position quite clearly!.